Citation: Sankhyan P (2017) Manifestations of 50 Years of Linear Morphea. 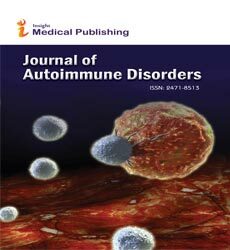 J Autoimmune Disord Vol 3:48. Copyright: © 2017 Sankhyan P. This is an open-access article distributed under the terms of the Creative Commons Attribution License, which permits unrestricted use, distribution, and reproduction in any medium, provided the original author and source are credited. Figure 1: 55 year old female, diagnosed with scleroderma.